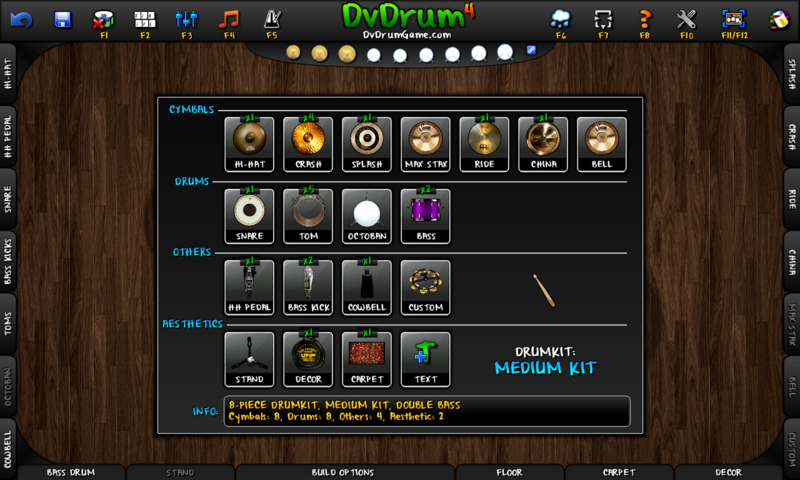 DvDrum 4 is Here! The Best Sandbox Drum Simulator! Build your Drumkits and Let's Drumming in a Realistic Drummer Experience! Play Drum Has Never Been So Fun! Welcome DvDrummer! RIDE THE MUSIC RHYTHM! UNLEASH YOUR CREATIVITY! DvDrum, Ultimate Drum Simulator! is Sandbox Drum Simulator that allows to build and customize your Drumkits and play them in a realistic and funny drummer experience. Unlimited customization! From Drumkits to Sounds and Inputs Maps. Collect and manage your drumkits and play them with drumless tracks, included, or load your own track. Broadcast or record and share your drumming performance! Expand your DvDrum with new items from Workshop or share your own directly in-game! FUN FOR EVERYONE! LEARN TO PLAY DRUM! 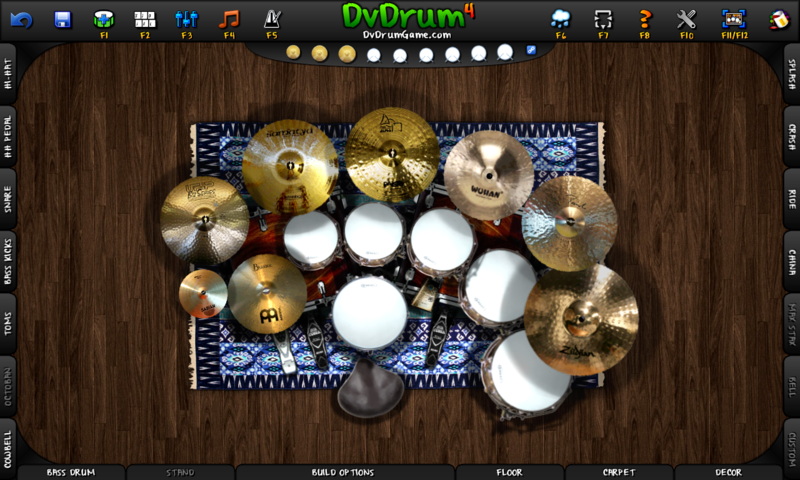 DvDrum allows to learn to control the rhythm in very short time and learn to play drum while having fun! 20 Drumless tracks inside from easy to hard skill level to help you to learn. DvDrum can offers both relaxing and adrenalinic gameplay experience with great satisfaction! Let's Drumming! 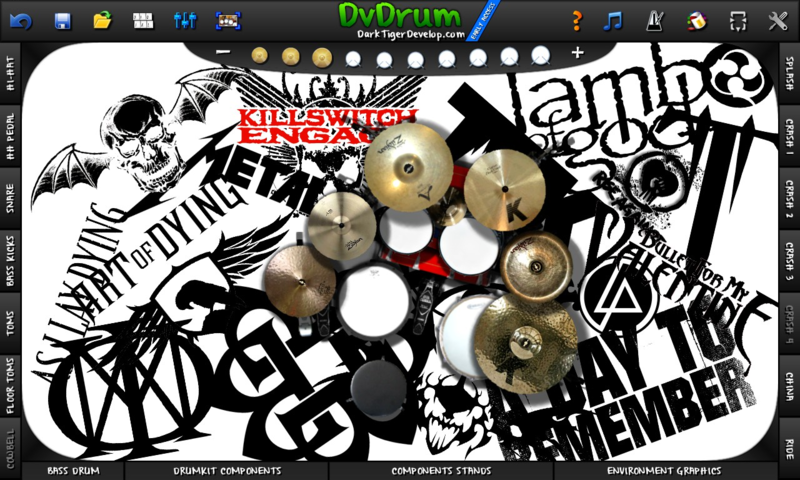 A NEW DVDRUM: MORE POWERFUL, MORE EXTENSIBLE AND BETTER EXPERIENCE! DvDrum, Ultimate Drum Simulator! is the fourth version of the Drum Simulator. 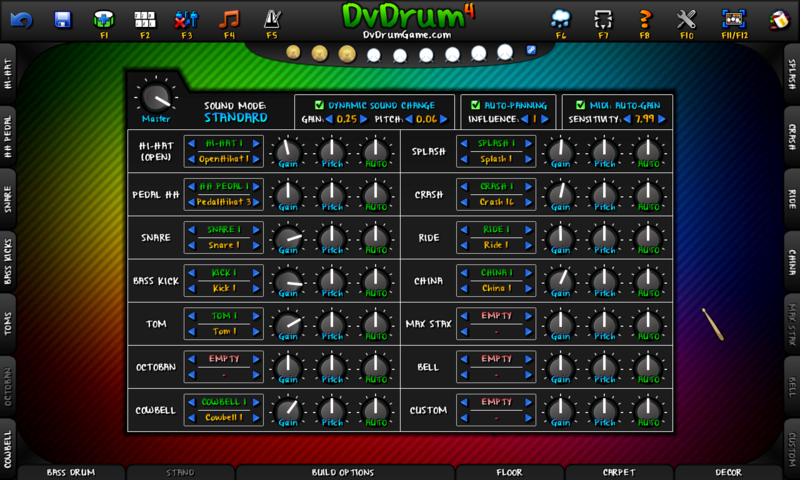 DvDrum 4 introduce a new audio engine with panning, pitching and 3D simulation support, a new components unlimited system that allows to build extreme drumkits with maximum freedom and MIDI Devices Inputs and USB Devices support! DvDrum, Ultimate Drum Simulator! is the Most Advanced Drum Simulator! Sound Mixer with Pitching and Panning Support! 3D Auto-Panning Feature Based on Part Position! 19 Types of Drum Parts! MIDI Controllers with Analogic Buttons Pression Support! USB Devices Support, like USB Pedals, with up to 32 buttons! Metronome with Sounds and Beats Customization! 20 Drumless Tracks, from Easy to Hard! Special Visual Effects for Decor your Drumming Session! Workshop Support for Extend your DvDrum! Images, Sounds and Drumkits! Cloud Support for Play with your Drumkits Everywhere!